Rough Country's innovative new 1-inch Polyurethane Body Lift reduces chassis noise and vibration, featuring specially blended Polyurethane bushings that are resistant to fluids and road grime. 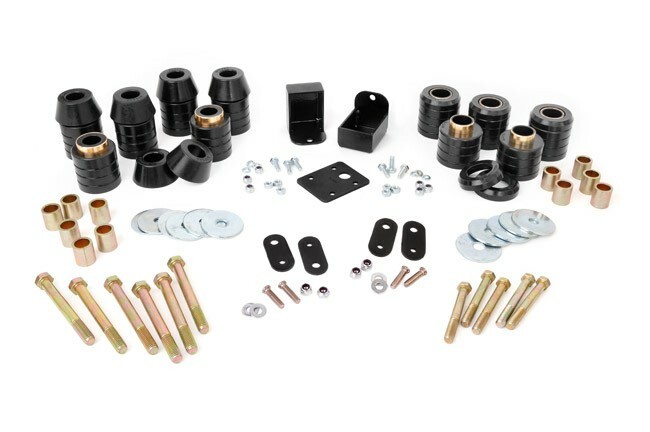 Kit includes Grill Support Brackets, Radiator Shroud Relocation Brackets, Shift Relocation Brackets for automatic transmissions and durable Grade 8 Hardware. Gain 1" of lift while replacing your old deteriorated body mounts.